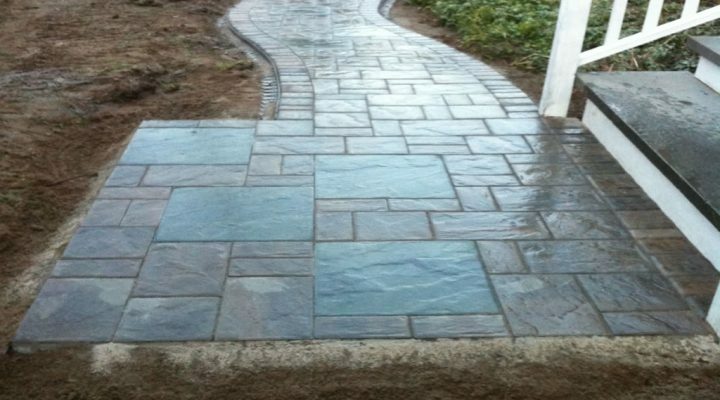 Stone Walkway Installation in Rifton - Paver Fishtail Design - Case Study | Masseo Landscape Inc. When your home looks good, people notice, they talk – and that’s exactly how we landed this last job. The client was admiring the walkway we did for his neighbor and we got the referral. And that’s the kind of work we love to get, referrals from happy customers. In addition to this walkway install, we also incorporated a subsurface drainage system that tied into the roof gutter downspouts. Excavation of the old asphalt walkway made it easy to add the underground drainage. 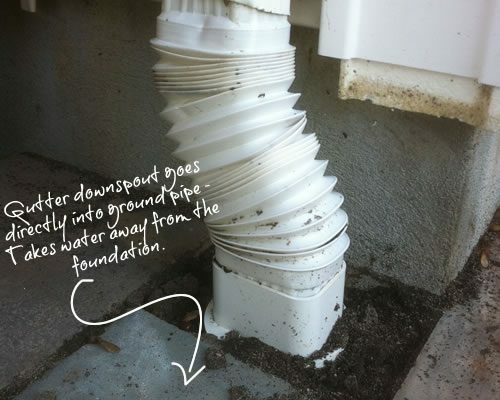 Gutter down spout goes directly into the underground drainage system, directing water away from the foundation. We always recommend diverting water runoff a safe distance from the house. Excessive water near the home foundation can result in a damp basement. With older block foundations, water can even weep through creating a flooding situation. 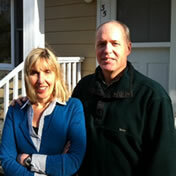 “We chose Masseo Landscape for a number of reasons. First, because they worked on our neighbor’s property and we were impressed with the outcome. Also, because we’ve heard good things about them and Mark seemed really professional. We were really happy with how quickly Mark came to our property and gave us a quote. When we explained the type of walkway we wanted, Mark listened to our needs and understood immediately. He knew what products to use and offered helpful suggestions. We love the blue stone he suggested for our walkway because it goes so well with our existing stonework. We learned a lot from Mark during this process and felt he had our best interest at heart. 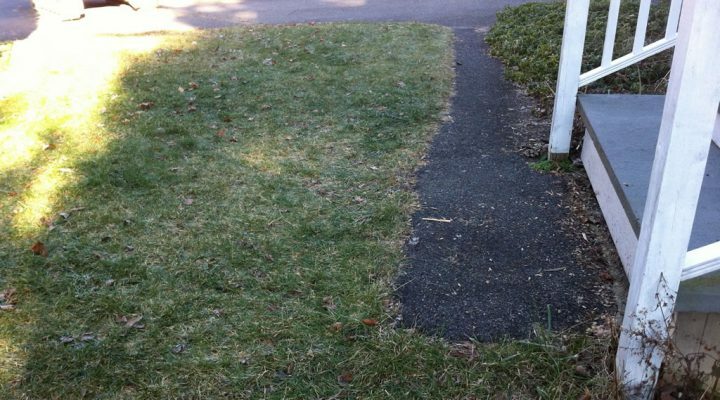 For example, we thought we would need to add stairs to meet our new walkway from the lawn. Mark explained that he could accomplish the same result by easily regrading an area of the lawn. He was so right, no stairs needed. Throughout the project, Mark and his crew were available and generous with their knowledge. They addressed all of our concerns and his crew worked fast. They completed the project in only 2 days! Masseo Landscape is located in Tillson NY, Just outside of New Paltz. Tell us about your project, we’d love to hear from you.